Sean Lenihan is a man on a mission to change the meat industry from the inside out. Moving from a successful career in experiential marketing to one in sustainable meat was not an obvious transition. 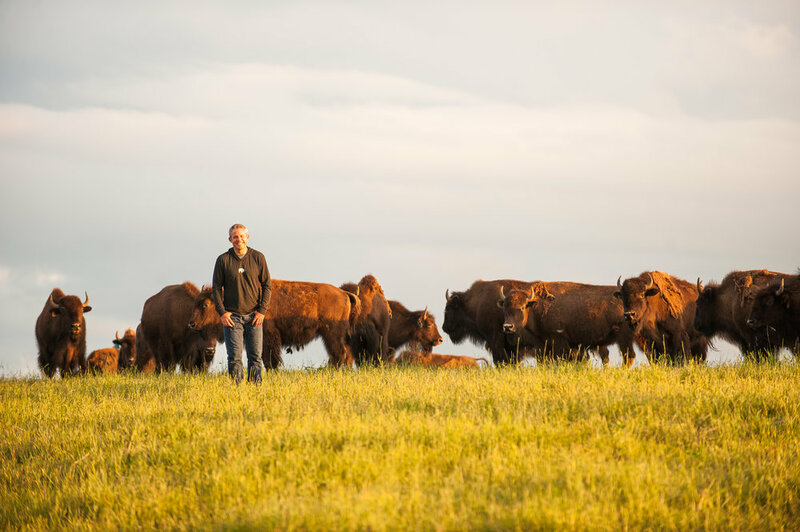 Nevertheless, after discovering how difficult it was to find 100% grassfed bison in the U.S., Sean decided to partner with some of the best bison ranches in the country to provide truly grassfed, sustainably raised bison to the public. In this podcast, we talk about Sean's marketing career, his mission as the founder and CEO of The Honest Bison, and the factors that led him to change careers. We get into the nitty gritty of bison rearing, field slaughter, and grassland conservation, and we talk about holistic management, an approach that guides the growth of The Honest Bison. Sidebar: I couldn't resist getting Sean's opinion on the whole "bone broth" controversy, and Sean couldn't resist getting real with the idea of "local food." This episode is a must-listen. Sean has an infectious energy and real passion that permeates the way he talks about The Honest Bison. If you have any questions or comments on the podcast after you've listened, feel free to leave your comments below. We'll get back to you as soon as possible.